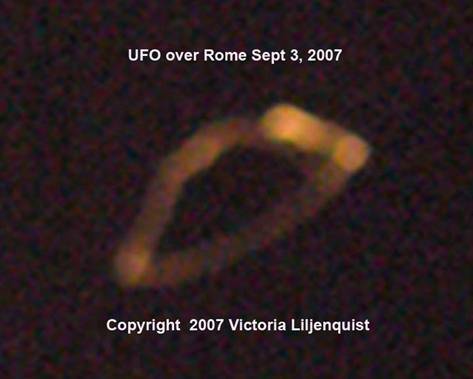 While visiting Italy , I toured Rome at night and captured this saucer on film. It is always amazing how the ships seem just show up for me to capture on film. In Pescara , I took a couple of new Italian friends out for their first sighting, where they filmed on their own cameras the UFOs. 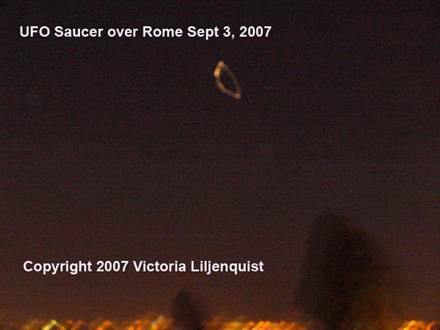 There are many encounters taking place all over the world with the UFO phenomena. A very exciting time for all of us!